This cruise was part of a New Zealand to Port Moresby, Papua New Guinea cruise I was working on. Below is a daily log of the birds seen during the first five days of this cruise during the Tasman Sea crossing leg of the cruise. Set sail from Milford Sound at approximately 1200 hours, heading in a generally NW direction. Strong 25+ knot wind, with 2-3m swell and a metre or so of chop on top. Visibility reduced at some times by intermittent squalls of rain, but generally ok out to several kilometres. Some good birds, with the number of black-winged petrels being surprising. Westland petrels were mainly closer to the coast, with white-chinned being seen as we headed out over deeper water. Also of interest was the white-faced storm-petrel seen well out to sea at 1452 hours, and the STEJNEGER’S PETREL seen just after, at 1500hrs. Later in the afternoon a single WHITE-HEADED PETREL at 1700hrs, and at 1713 hours the first of two SOFT-PLUMAGED PETRELS again well off the coast. 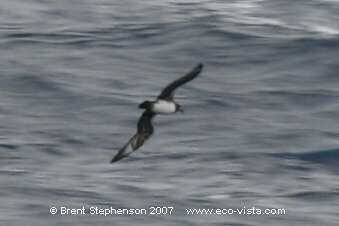 At 1800hrs a distant view of what I thought was awhite-headed petrel with a dark tail, and dark under-tail coverts, which in retrospect had to have been a KERMADEC PETREL. 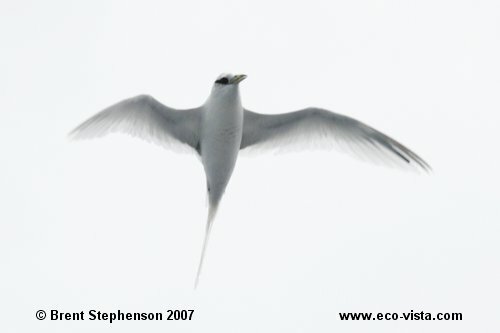 All sightings on this day were within New Zealand waters (within 200nm of New Zealand). Not a great number of birds despite watching almost continuously from 0800 to 1153 hrs, and then almost an hour in the mid afternoon. Weather may have had something to do with it, with 40% cloud in early morning clearing to 10% mid-morning, and <10 knots of wind all day, and 1-2m swell. 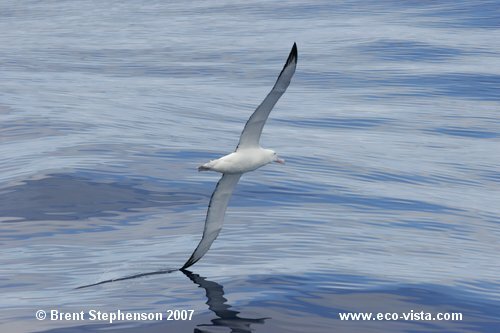 Stars of the day were the Gibson’s albatrosses following the boat and the trickle of black-winged petrels past the ship. First flying fish of the trip seen at 1523 hrs, and first of the flesh-footed shearwaters at the same time. All sightings on this day were within International waters (outside of 200nm from NZ or Australia). Good numbers of birds today, with an increase in sub-topical species. Weather has again been a light breeze of <5 knots , with cloud cover being around 60-70% most of the day. Warmer than yesterday, with about 1m swell. 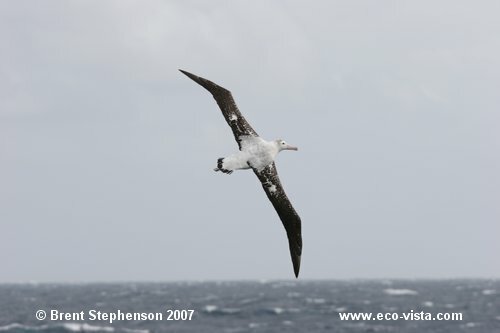 Several albatross, including a very strange looking Wandering albatross (photos taken). These albatross contrasted markedly with the sub-tropicals seen today, with KERMADEC and WHITE-NAPED PETRELS, and RED-TAILED TROPICBIRD early on. Flesh-footed shearwaters increased in numbers during the day, all seeming to be large birds from New Zealand populations. Several GOULD’S PETRELS and WHITE-BELLIED STORM-PETRELS were also of interest, and an obviously migrating juvenile AUSTRALASIAN GANNET was an exciting find! Some good cetacean sightings with a pod ofsperm whales at 1315 hrs, probably 6-10 individuals in a loose pod heading in a SE direction, in very deep water (almost 5,000 m). Then at 1527 I spotted a large pod of probably 100-200 Pantropical spotted dolphins, and there seemed to be a good number of young animals with the pod. They appeared to be actively feeding when first spotted, irregularly breaking the surface in a loose aggregation. After sometime some of the animals crossed the bow, looking as if they might bow-ride, but then headed off and the pod porpoised away from the ship, with lots of animals visible. Some photos taken which led to their identification. All sightings on this day were within International waters (outside of 200nm from NZ or Australia). No sign of any albatross today, and lower diversity of seabirds in general. However, reasonable numbers of flesh-footed shearwaters and grey-faced petrels, with probably 30-50 of the former, and 200-300 of the latter during the course of the day (actual count is therefore very conservative). The flesh-footed shearwaters on the whole appeared to be smaller than those seen the day before and may therefore have been Australian birds? Grey-faced petrels were generally quite pale in the face, but one or two dark faced birds (either juvenile NZ birds or P. m. macroptera). Also of note was the sighting of three GOULD’S PETRELS (several photographed), a dark phase KERMADEC PETREL, two WHITE-TAILED TROPICBIRDS together, and a WHITE TERN. 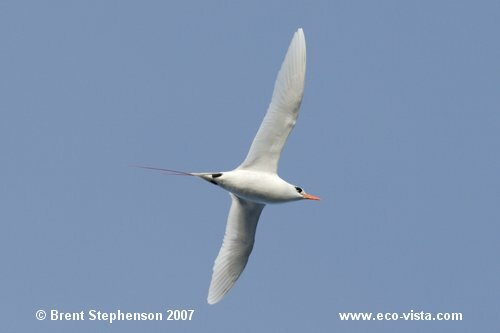 The tropicbirds were seen at 0838 hrs, whilst the white tern was seen at 1426 hrs. 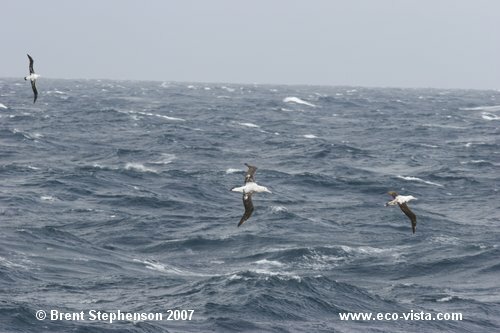 The first wedge-tailed shearwater was seen at 1254 hrs, and were seen steadily through the afternoon. At 1628 hrs a pale bodied petrel was seen. At first I thought it was a Kermadec petrel, being the right size and shape for that species. I was not able to see any white shafts in the primaries of the upperwing, but there was an extensive white flash in the underwing which appears to extend into the secondaries. It also appeared ‘long-tailed’. Luckily I managed to snap several photos which show the upper and lower surfaces well, with the flash in the underwing visible and lack of shafts in upperwing confirmed. From the photos it can be seen that the bird has pale leading edges to the inner wing on the underside, and also a pale chin. The bird was almost certainly a HERALD PETREL. All sightings on this day were within Australian waters (within 200nm of Australia). Approach into Brisbane, arriving in port approximately 1200 hrs. Up early in very stormy conditions, with swell between 6- 12 m, and some chop on top of that. Wind was consistently above 30 knots with some gusts probably in excess of 45 knots. Overcast and some rain squalls. Very rough conditions and the boat at some stages was rolling wildly and up to 30 degrees. Main birds seen were wedge-tailed shearwaters and crested terns. Also one pomarine and four parasitic jaegers seen. All sightings on this day were within Australian waters (within 200nm of Australia).